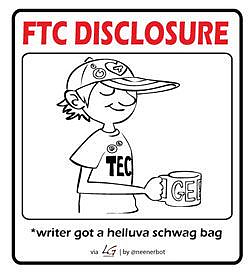 Here's how we try to deal with conflicts of interest on the site. This is a for-profit website. One of many purpose of the website is to generate income through advertising and several affiliate programs. The affiliate and advertising relationships between the website and third-parties introduce potential financial conflicts of interests. In the spirit of full disclosure, these conflicts of interests are highlighted and outlined below so that you can make a fully-informed decision. First, I make plenty of money at my regular job (remember I’m a full-time practicing corporate lawyer), so you don’t need to spend a lot of time worrying that I’m going to sell you out for $100. A lot of time has been spent on the website, including countless hours writing content, organizing the site and learning about site maintenance. My hourly rate from blog income is incredibly low. My primary goal with the website is to assist intelligent lawyers and other high-income professionals who have invested long hours in their careers achieve their financial goals (although, secretly this blog is about reducing your stress and anxiety overall). Many of these individuals did not receive financial training, nor have they adequately come up with a plan to achieve financial independence. However, my altruism motivates me only so far and I find that even a tiny profit provides additional motivation to work hard. Plus, there are some expenses involved in hosting a website including hosting fees, domain registration fees, and hiring others to do things I haven’t yet figured out how to do on my own. Placing ads allows me to not have to pay these costs out of pocket. There is no subscription or charges for premium content. All the information contained in the website is completely free. I’d like to think that the value of this blog is far greater than the inconvenience of a few ads and affiliate referral codes. In fact, you can skip the ads almost entirely by subscribing to the blog feed via an RSS reader or email. This site has the potential to make money in several different ways: 1) Affiliate marketing programs; 2) Direct Advertisements or 3) Pay-Per-Click Advertisements (like Google Adsense). The site is compensated if you click on a link from this website and subsequently perform some type of action on the affiliate site, such as making a purchase or opening an account. The site then receives a percentage of the purchase price or a commission. All affiliate relationships have been thoroughly considered and involve only companies whose products I believe would be useful to my readers. So far these companies include various student loan refinancing companies, Amazon, certain investment platforms and other financial services companies but I expect to grow these relationships over time. Hopefully this will assist you in evaluating my financial conflicts of interest. For now, profits from this website are quite low (I disclose them every year in the annual Year in Review post) and likely will always be much less than what I make at my day job (remember I practice corporate law during the day), so you can rest assured that I don’t need to sell you out to feed my family. 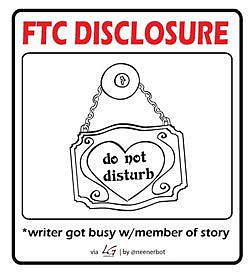 From time to time, this website may publish guest posts by writers who may have their own financial conflicts of interest. Guest posts will be clearly identified. If you’re having trouble telling content apart from advertising, please contact me. Your privacy is also important. I will never sell or disclose your email address. 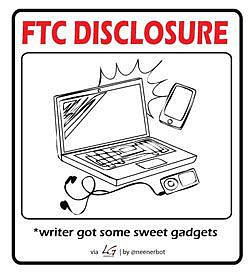 Regardless of the above, the FTC requires bloggers to disclose whenever there could be hidden interests or unspoken biases related to recommendations. b. This license shall automatically terminate if you violate any of these restrictions and may be terminated by Biglawinvestor.com at any time. Upon terminating your viewing of these materials or upon the termination of this license, you must destroy any downloaded materials in your possession whether in electronic or printed format. The materials on Biglawinvestor.com’s web site are provided “as is”. Biglawinvestor.com makes no warranties, expressed or implied, and hereby disclaims and negates all other warranties, including without limitation, implied warranties or conditions of merchantability, fitness for a particular purpose, or non-infringement of intellectual property or other violation of rights. Further, Biglawinvestor.com does not warrant or make any representations concerning the accuracy, likely results, or reliability of the use of the materials on its Internet web site or otherwise relating to such materials or on any sites linked to this site. In no event shall Biglawinvestor.com or its suppliers be liable for any damages (including, without limitation, damages for loss of data or profit, or due to business interruption,) arising out of the use or inability to use the materials on Biglawinvestor.com Internet site, even if Biglawinvestor.com or a Biglawinvestor.com authorized representative has been notified orally or in writing of the possibility of such damage. Because some jurisdictions do not allow limitations on implied warranties, or limitations of liability for consequential or incidental damages, these limitations may not apply to you. The materials appearing on Biglawinvestor.com’s web site could include technical, typographical, or photographic errors. Biglawinvestor.com does not warrant that any of the materials on its web site are accurate, complete, or current. Biglawinvestor.com may make changes to the materials contained on its web site at any time without notice. Biglawinvestor.com does not, however, make any commitment to update the materials. Biglawinvestor.com has not reviewed all of the sites linked to its Internet web site and is not responsible for the contents of any such linked site. The inclusion of any link does not imply endorsement by Biglawinvestor.com of the site. Use of any such linked web site is at the user’s own risk. Any claim relating to Biglawinvestor.com’s web site shall be governed by the laws of the State of New York without regard to its conflict of law provisions. You may use the pictures taken by Biglaw Investor if you provide a credit link back toBiglawinvestor.com and an e-mail notification or comment on a post that you have done so. Information about your computer hardware and software may be automatically collected by Biglaw Investor. This information can include: your IP address, browser type, domain names, access times and referring website addresses. This information is used for the operation of the service, to maintain quality of the service, and to provide general statistics regarding use of the Biglaw Investor. 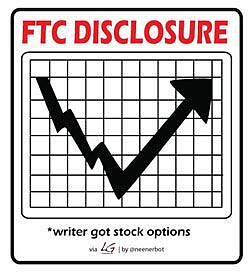 Please keep in mind that if you directly disclose personally identifiable information or personally sensitive data through Biglaw Investor public message boards (post & comments), this information may be collected and used by others. Biglaw Investor encourages you to review the privacy statements of websites you choose to link to fromBiglaw Investor so that you can understand how those websites collect, use and share your information. Biglaw Investor is not responsible for the privacy statements or other content on websites outside of the Biglaw Investor website. We respect your privacy and give you an opportunity to opt-out of receiving announcements of certain information. Users may opt-out of receiving any or all communications from Biglaw Investor by contacting us in the reply section below this page. 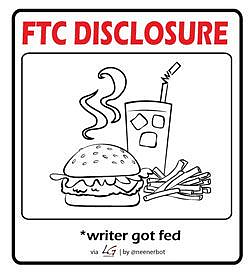 Biglaw Investor will occasionally update this Statement of Privacy to reflect company and customer feedback. 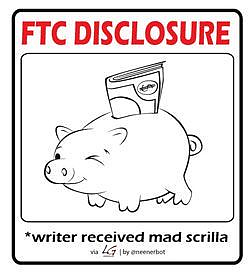 Biglaw Investor encourages you to periodically review this Statement to be informed of how Biglaw Investor is protecting your information.